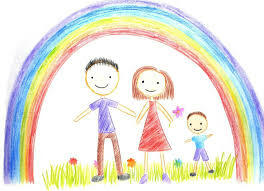 Give a child a pack of crayons and by far one of the most popular drawings is a rainbow. That elusive arch of colour is so exciting to spot! As we grow older we are taught that rainbows are present at all times, it’s merely certain atmospheric conditions that enable us to get a few glimpses of that other worldly colour. In much the same way, human talent is always present within each and every one of us, but we often need assistance to find the right conditions so that we can shine. And once we do, it becomes difficult not to! This is where Women of Worth comes in. It has been about six months since we began our journey of personal growth and development with women of all positions, irrespective of background or title, at John Holland. 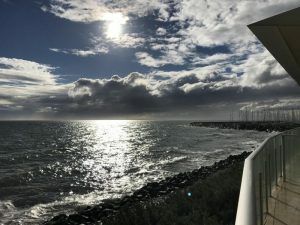 With the inspired sea view offered by the Sandringham Yacht Club, we began a day of reflection, remembering who we are, what our continued aspirations will be and how far we’ve come. 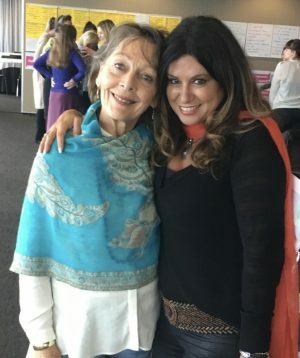 Along the way, each woman has selected a topic that speaks to her and has dug deeper with one of us, furthering her knowledge in a more personal way. Our goal is to provide a custom fit toolkit of sorts: how to have a tough conversation, to use your voice, speaking your truth despite the outcome. (And readiness to accept a negative outcome if that comes to pass.) Negotiation, how to use positive influence, how to navigate through complex scenarios– these are just a handful of studies that our group has sought more knowledge about through Women of Worth webinars and personalized coaching. Alongside this toolkit we’ve also studied the enemies of learning– unconscious biases that can cloud our judgment and reduce our ability to be compassionate towards ourselves and others. We’ve explored body language, facial expressions and tone, which often speak much louder than words! Knowing what you’re saying is the beginning. Making sure you’re delivering the message in just the right way is a lifelong journey that takes skill and practice. 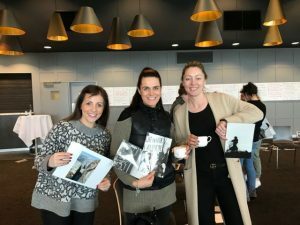 WOW participants Tina Garkinis and Sali Bogdanovic with Loren Tairi, People and Culture Manager, VIC/SA/TAS & NZ, John Holland Group Pty Ltd. 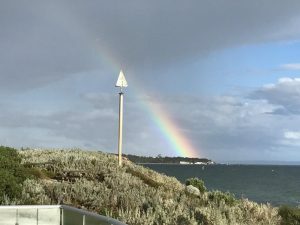 It only felt fitting that as we marked this day of progress, remembrance and genuine connection that we did get our very own rainbow at the Yacht Club! A wondrous reminder that our potential is always there, we simply need to create the right conditions for it to become visible! As Women of Worth and John Holland move forward together in our personal growth and exploration, we invite you to ask yourself: what unexplored talent do you have within? And what would it take to unlock your potential? Women of Worth is here for you! Visit www.womenofworth.com.au today to get started– we’d love to hear from you! 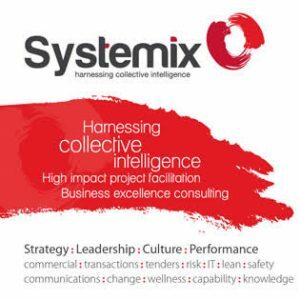 This Women of Worth program was presented in collaboration with Systemix. Special thanks to Loren Tairi, People and Culture Manager at John Holland. Every program has an internal champion, a dedicated visionary who is tenacious, caring and bold. That person is Loren!